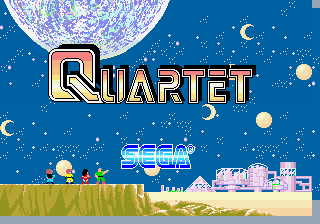 Quartet (カルテット) is a 1986 arcade game developed by Sega for the Sega System 16 arcade hardware. Quartet is a four-player sidescrolling shoot 'em up game featuring the characters Joe (yellow), Mary (red), Lee (blue) and Edgar (green), who must destroy numerous robots who have taken over a human base. In each level there is a boss, and destroying said boss grants the player a key which can be used to exit the stage. As well as being a stand-alone arcade cabinet, Sega also offered a two-player conversion kit known as Quartet 2. Both Quartet and Quartet 2 are identical, however the latter only supports up to two players on screen, while the former allows for all four. 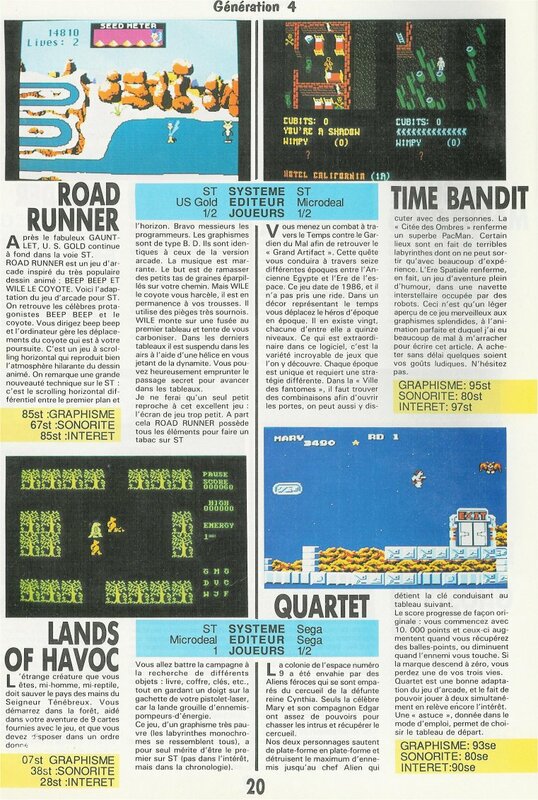 Quartet was ported to the Amstrad CPC, Commodore 64, Sega Master System and ZX Spectrum. The Master System release only features two players, and was hence retitled Double Target: Cynthia no Nemuri (ダブルターゲット シンシアの眠り) in Japan (as "Quartet" suggests there are four). Some of Quartet's music was recycled for Spider-Man: The Video Game. A version of Quartet's Stage 1 theme arranged by Taito's sound team Zuntata was included as part of maimai and later available for purchase for US$1.99 for their iOS rhythm game Groove Coaster Zero. Another version of this theme appears in Hatsune Miku: Project DIVA Arcade, with added lyrics. The game was also bundled with SDI: Strategic Defense Initiative in Sega Ages 2500 Series Vol. 21: SDI & Quartet: Sega System 16 Collection.